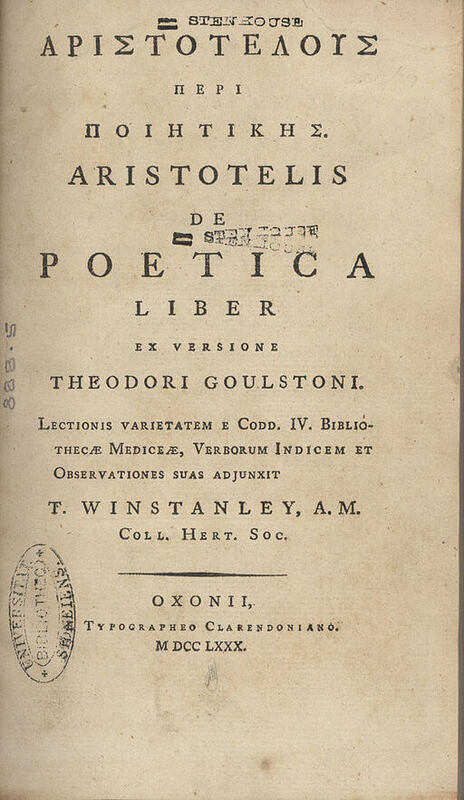 The Poetics of Aristotle (335 BCE) is the earliest surviving treatise of dramatic theory and the first philosophy of literary theory from the West that influenced centuries of philosophers ever since. Unfortunately, it is one of only thirty one surviving treatises by Aristotle of over two hundred he wrote; the rest were lost over the centuries. As a literary website, we thought it was imperative to feature Aristotle's epic logic and scientific method to evaluate epic poetry. From Chapter IV: "Poetry in general seems to have sprung from two causes, each of them lying deep in our nature." Return to the Aristotle library.